localized knowledge that simply can’t be taught. Born to a family of bankers, Mike spent 5 years working in the banking field early in his career, laying a solid foundation for his understanding of financial institutions and lending practices. But before eventually launching his real estate career, Mike quickly established himself as a leader in the field of Security, Community Safety and Crime Prevention. After achieving a Bachelor's Degree in Criminology at Simon Fraser University, with a focus on Crime Prevention through Environmental Design and building design, Mike worked as a provincially-licensed corporate security consultant. This involved drafting proposals, negotiating contracts and providing high-level consulting services on major security and crime-prevention projects for corporations, government agencies, hospitals and transit systems. Recognized in the industry for his astute analytical skills and communication abilities, Mike was then recruited to the provincial Ministry of Public Safety & Solicitor General and federal Justice Canada, where he spent 5 years overseeing major crime-prevention partnership initiatives and community funding programs (including 3 years in managerial roles). Mike’s passion for Real Estate however developed quickly after he began investing in property himself, and it wasn’t long before this interest finally drew him away from the public sector to begin a full-time career selling residential real estate. As a professional Realtor, Mike has excelled in the business, achieving consistent recognition for sales achievements each and every year. In 2007, Mike received the RE/MAX Platinum Club Award, one of the highest sales volume awards offered by RE/MAX of Western Canada. And in 2011, he received the prestigious "RE/MAX Hall of Fame" Award, recognizing his consistently high level of sales achievement throughout his career. His professional style and strong relationship focus make Mike an instant success with his clients and provides him the ability to successfully navigate difficult situations with ease. Because 90% of Mike’s business comes from existing clients and their referrals, there is little doubt that his clients are happy. And ultimately, this is the best measure of any Realtor’s success. I believe that each and every client should be treated with equal respect, attention and courtesy, whether a first-time buyer financing the purchase of their very first condo, or a longtime seasoned investor. I believe in honest and fair dealings with all parties, including other realtors and their clients, inspectors, appraisers, lenders and lawyers. And I believe that this is fundamental to any successful negotiation. I believe in honouring my commitments with respect to my services. I believe in a commitment to educating my clients about the market and the buying and selling process. I believe in exercising patience in listening to clients' needs and responding to questions. I believe in creating enduring relationships with my clients and therefore having a sense of conscience and responsibility for their future well being. I believe that home presentation is of paramount importance when it comes to listing property and I am therefore wholly committed to listing preparation, including staging, visuals & sensory marketing strategies. "Mike Kennedy is simply one of the best realtors. His commitment to his clients, his eye for detail and follow up make him my realtor of life. I have used other realtors in the past and thought they were good, but till I took the advise of a friend and used Mike to sell and then purchase my last homes, I realized my other realtors were just average. I would refer Mike to anyone wanting to sell, purchase and have the best service in the industry." "In an industry that is full of agents representing buyers and sellers, it can be a tough choice deciding who to represent you. The real estate industry is well established and the differences between agents can be slim to none in a market where homes seem to sell themselves. Mike Kennedy, however, is in a class all his own and is NOT just another real estate agent. Selling our house with Mike was a dream. He was always willing to do whatever it took to help us put our best foot forward as far as our home was concerned, and had the kind of energy and passion that is very hard to find. I felt at all times like I was his only client, and his attention to detail and knowledge of the real estate industry was exceptional. Our home was sold fast, for a great price, and with minimal effort by myself. I would not hesitate to recommend him to anyone who needs the services of a realtor because I know they won't get better value anywhere. Simply put, Mike Kennedy's service and abilities are a cut above the rest, and his dedication and commitment to his craft have made the process of selling our home a pleasure - from start to finish." "Mike was incredible! Having to go through the buying/selling re-locating process for the first time alone was daunting. Mike made me feel comfortable and confident. I trusted him instantly. He went above and beyond for me and I am eternally grateful!" "Mike Kennedy has now been our realtor through four real estate transactions. We have referred many of our family and friends to him due to our great experiences in selling and purchasing homes. Mikes outstanding service, organization, and incredible integrity has created a lifetime relationship with our family. 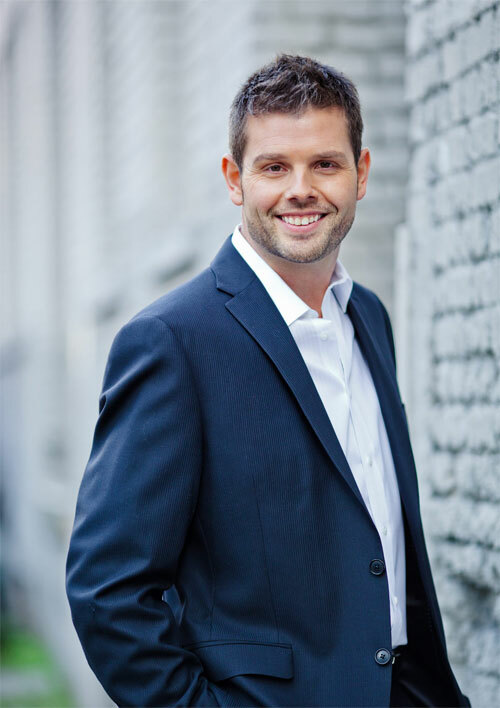 His knowledge of the Vancouver market, the importance of staging a home, and his marketing plans give us great confidence and results like no other. He is always available to answer questions when we think about moving again or are curious about what the market is looking like at any time. We look forward to many years of working together!" "We are sooo pleased with the handling of the sale of our condo, we felt we would be remiss in not conveying our feelings to you. From the moment we signed the listing agreement, we were impressed with your attention to detail. At the time, you gave us a ‘step by step’ guide as to what we should do in preparing our property for viewing. Not only did you explain what we should do, you spent time with us doing things necessary to make our home ready for the market, which undoubtedly resulted in the quick sale and the record price we received for our condo. Mike when you said you would provide “Free In-Home Consultation to Prepare your Home for Sale”, you meant it. Your web site at www.mikekennedy.ca described our property, including the many pictures, exquisitely. Our sale closed within a matter of weeks and we received a price per square foot well beyond what has ever been experienced in our condominium. Marilynn and I will highly recommend you as a first class Realtor to our friends, relatives and business associates. You were very professional, courteous, and always available when we needed you. Thanks Mike for a very professional effort selling our condo. You made what can be a nightmare a pleasant and in fact fun experience." "As a first time home buyer in a very competitive market, I needed someone with experience and honesty to help me...lucky for me, Mike has both of these qualities. Mike was able to make one of the biggest decisions I've made a smooth and comfortable experience. I'll definitely use Mike for all of my future real estate needs. I've already referred him to a friend and they are incredibly pleased with his service." "Most of all we appreciated Mike's no pressure approach. When we were buying, he truly cared about what we were looking for in a home and would remind us of our original criteria if we were looking at a place that wasn't quite right. Mike took his time to help us find the perfect place that fit our needs. We couldn't be happier in our new home. When selling, Mike arranged for our condo to be cleaned, staged and photographed in a tight time frame. He was very honest with us and his advice led to an extremely quick sale. We will work with him in the future without any hesitation." "Mike's dedication to his clients is above and beyond the normal expectations of a Realtor. I highly recommend Mike to any friends and family that are looking for a Realtor. I will definitely use his services in the future for all my real estate transactions." "We very much appreciated all the time and attention Mike showed us-especially as first time buyers! He worked with us to make sure we were getting what we wanted-despite the fact our needs were constantly changing-Mike really seemed to have our best interests in mind! We especially appreciated that Mike made himself available to us at our convenience and always encouraged us to call anytime. Thank you Mike! We are very happy in our new home!"